A Bilco E-50T roof access hatch was installed at the Surf Snowdonia complex, built in a disused aluminium quarry on the edge of Snowdonia National Park. 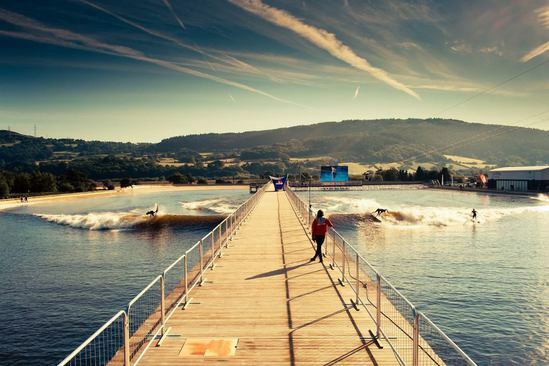 A Bilco E-50T roof access hatch was installed at the Surf Snowdonia complex, which generates the longest man-made wave in the world. 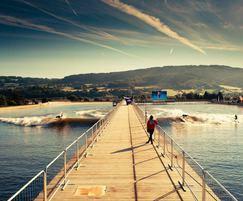 Surf Snowdonia is built in a disused aluminium quarry on the edge of Snowdonia National Park. It comprises a range of buildings, including cafes and restaurants, retail space and a soft play area, as well as the central wave-generating complex. There are also camping pods for overnight visitors. The Bilco roof hatch used is a 915 x 915mm model, which is ideal for applications requiring roof access for regular, ongoing, planned maintenance. All Bilco roof access hatches are constructed using highly robust compression spring operators to provide smooth, easy, one-hand operation, and which helps to ensure that the hatch stays securely in the open position while an operative is passing through the access and also while working on the roof. Bilco access hatches are available in a range of size options and can be fabricated to specific sizes for projects with precise needs.